It’s been a day of mixed feelings here at Dragonlane. 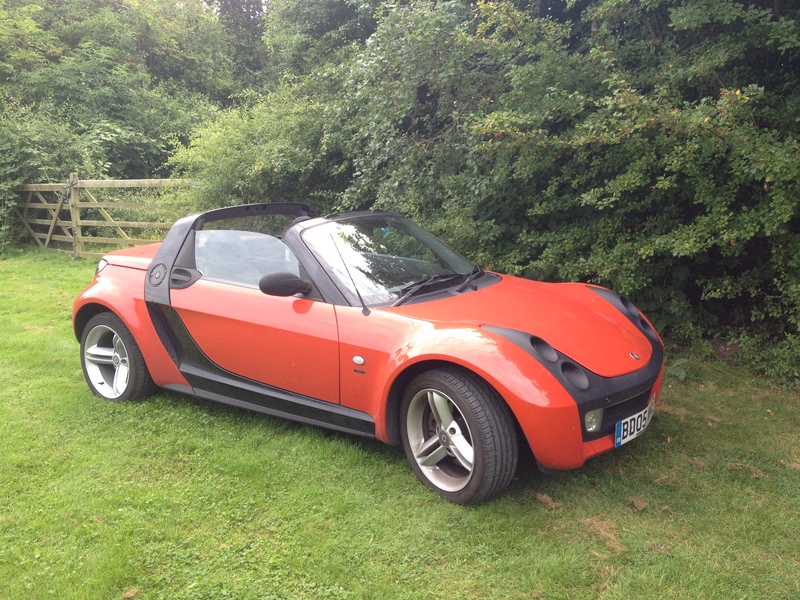 We have decided to say goodbye to our sweet little Smart Roadster. While this little car is amazingly fuel efficient (55 MPG) and has provided us with hours and hours of jaunty fun, it is not so practical for three people. Plus the fact that we are ageing baby boomers and we literally have to crawl out of the car when exiting. Sometimes I need someone to pull me from the seat and I bump my head every other time I try to gracefully sit down in the seat. Finally, the roadster is not always that practical to drive in inclement weather. So we are off to the car dealer to find a sensible car that gets good mileage, holds at least four people and two suitcases, and won’t skid off the road at the first sign of ice. I love my roadster. I can’t believe you appear to be gloating at its retirement! England doesn’t get much inclement weather though, right? 😉 That’s one cute car! Here’s to many years of happiness and good times with the new arrival. I understand how hard it is to give up your roadster. We used to have the cutest red Miata convertible. When you have to call in a crane to lift you out of the seat, it’s time to give it up.